First things first. Let’s look at what sleeping masks are. Sleeping Masks are rich, nutrient dense moisturizers that you use before bed. The body repairs itself as you sleep, and skin is no exception. With the right nutrients, you can wake up to refreshed, rejuvenated skin in the morning. 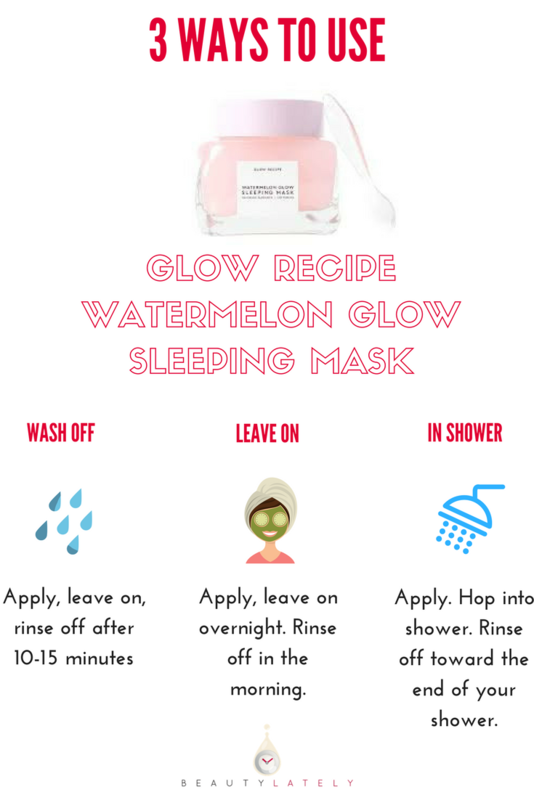 How to use it: there are several ways you can use this mask, the first two of which are suggested by Glow Recipe, and the third I’ve seen floating around YouTube and the internet. As a wash off mask: apply on clean skin, leave on, and rinse off after 10-15 minutes. As a leave on, overnight treatment mask: apply on clean skin as the last step of your skincare routine at night. Leave on and wash off in the morning. As an in-shower mask: apply on clean skin before you shower. The steam from the shower will help open up pores and allow product to work faster in shower. Price per ounce: $45.00 for 2.7 oz. 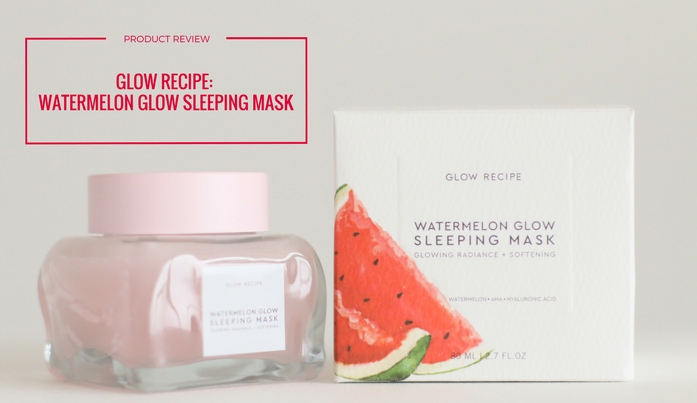 There are a lot of things I liked about this sleeping mask – usually sleeping masks can be difficult to use because of the way it sits on your skin makes it hard to sleep. Especially if you’re like me, who’s a stomach sleeper! Pretty good value – get a lot of product relative to other sleeping masks out there that are higher end. All of that being said, there are some things I didn’t like so much about this product. Numerous people have pointed this out already, but this product is a little difficult to use, even with a spatula. If you are too lazy to read all of that, here’s a YouTube video I made of the review!